← A desperate plea to be noticed? 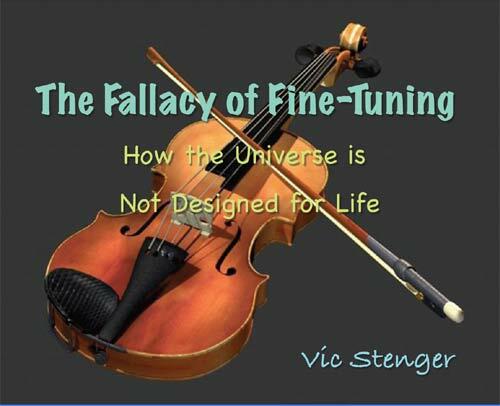 I just picked up in my browsing that Victor Stenger is working on a new book The Fallacy of Fine-Tuning: How the Universe is Not Designed for Us. Its planned for publication early next year. This should be a great read. Victor is an excellent and prolific science writer. He is an Adjunct Professor of Philosophy at the University of Colorado and Professor Emeritus of Physics and Astronomy at the University of Hawaii (retired in 2000). Much of his writing is aimed a countering theological distortion and misuse of science. This is badly needed for the “fine-tuning” question. In Godless cosmology I refer to an article of his on this in Russell Blackford‘s 50 Voices of Disbelief: Why We Are Atheists (see Testimony of non-believers for a review of this book). The New Atheism: Taking a Stand for Science and Reason (for my review see Defending science and reason). So, I am looking forward to the new book. But, meanwhile, I was interested to see that Stenger has posted on-line draft chapters from his book. He is requesting comments from interested people with scientific and editing expertise. First time I have seen this approach. Anyone interested can go to Fallacy of Fine Tuning and register their interest. registration is required for access to the documents. I am not registering myself but the list of chapters below give an idea of the books likely content. 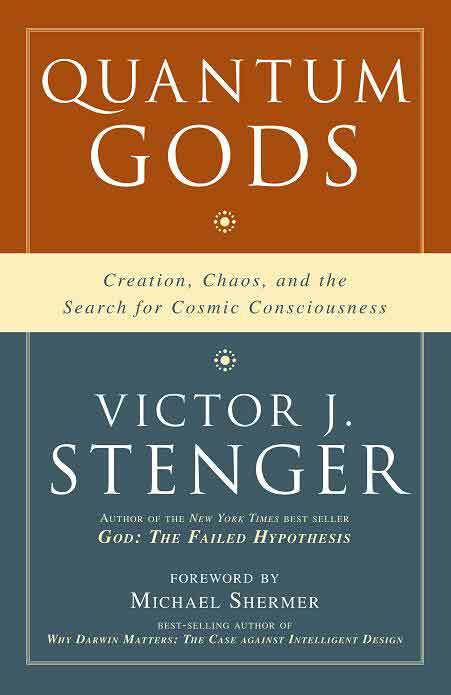 This entry was posted in belief, philosophy, religion, SciBlogs, Science and Society, theology and tagged cosmological constant, cosmology, fine tuning, physics, Russell Blackford, Victor J. Stenger, Victor Stenger. Bookmark the permalink. Given that 99% of species which have ever lived on planet earth are extinct, how finely tuned for those species is the earthly environment? If one looks only at the current winners of natural selection one might think that everything was designed with us in mind, but that would be ignoring 99% species in favour of the current 1%. If a deity were at work in designing the conditions for human life on this planet then the temperature should be a constant 22 degrees C with no natural disasters or changes of season. Conditions vary enormously, however, on this planet from the tops of mountains to the deep oceans, so even on this planet, most conditions are not conducive to human life. Can anyone tell me what the optimal CO2 level in the atmosphere is and how that level was determined? If there has been an 18 year pause in global temperature increase while CO2 ppm has steadily been increasing, what is the reasonable conclusion to be reached? NASA says to take account of the Pacific Decadal Oscillation. Since it apppears to be switching we should be seeing more action. Steve, interesting you draw me to this violin today when I have been talking about a violinist on a more current Openparachute thread. Did you do it on purpose? I related that the violinist was giving lectures “fine tuning” the meaning of musical symbols. As a cellist and teacher a lot of my time in certain years has been spent with getting musical notes in tune,with self and others. For a glimpse of how physics is trying to describe the universe a few minutes of https://www.youtube.com/watch?v=OHTZVz_MGCA starting about 8:30 minutes in is interesting. Raphael Flauger talks about aspects of Effective Field Theory. I was little in the forties when radios plugged into the wall power socket produced sounds. I used to think the radio signal came out through the plug to the radio. Later with crystal sets I learned the signal can come without being connected to the power plug, just through the air in some mysterious way. (Though the power wires can act as quite a good aerial, so signal does come out of the power plug I found later.) I am always open to hints of things happening that I do not understand yet. I probably shan’t be around when the 10^-32 cm of the string field or even higher energy are described. Flauger thinks they might not be much use describing planetary motion, or the atom. But note again what happened after Einstein. I tend to think of gods as entities who may have knowledge and control that we do not currently understand. A way I have of looking at atheism is a reaction against control that some may be trying to impose on others. Maybe it will go away if we ignore it. Many of the people who rang in to the program were reacting against something.